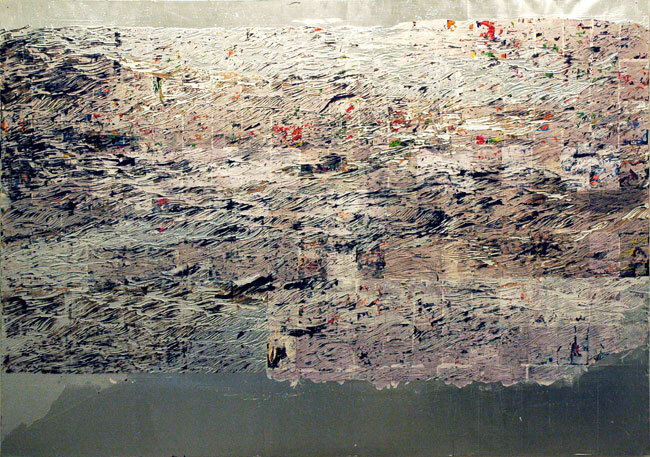 I have been looking at Mark Bradford’s work online and in videos but I must get to the ICA to see it in person. It really looks fabulous. Thanks for this post, Deborah, and best wishes for a great new year. Thanks for this post; I, too look forward to meeting the work in person. Happy New Year! I was just at this exhibit at ICA this week and I believe this is actually called “Mississippi Gottdam”. Lovely in real life nonetheless.